More about iittala Toikka Barn Widgeon 2010 Annual Bird This grand bird was specifically created for the SSKK, or Suuri Suomalainen Kirjakerho, a Finnish book club. 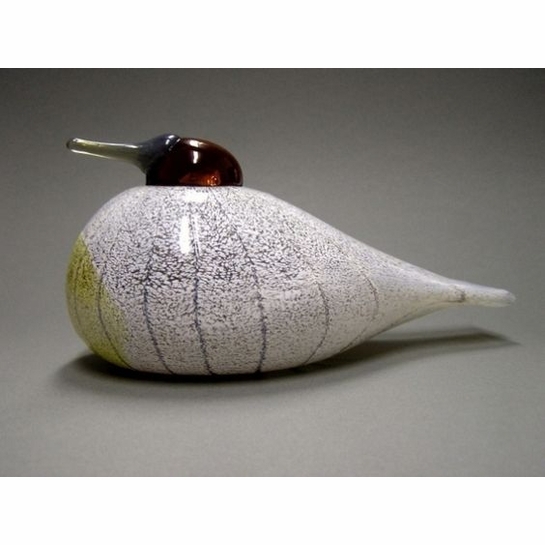 The limited edition Barn Widgeon has a large, round body covered with white patterned glass, a yellow chest and dark head, creating a delightfully designed contrast. 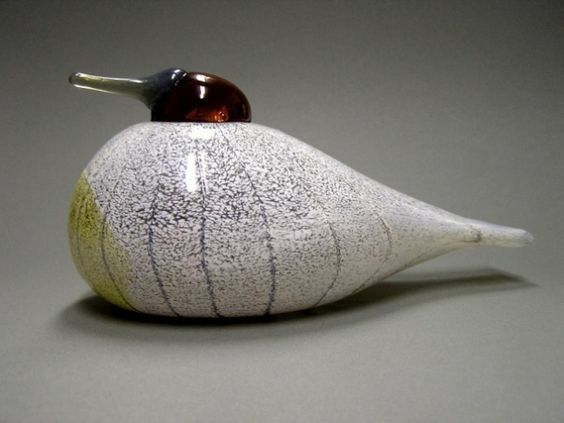 Only 500 of these birds were created in 2010, making them a must-have for Toikka glass bird collectors.